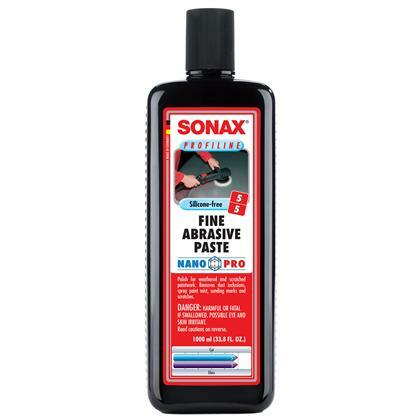 SONAX Profiline Fine Abrasic Paste is for professional users in paint shops and for used car restoration. For application with polishing machines with regulated rotational speed. Removes dust occlusion, paint overspray and sanding marks. 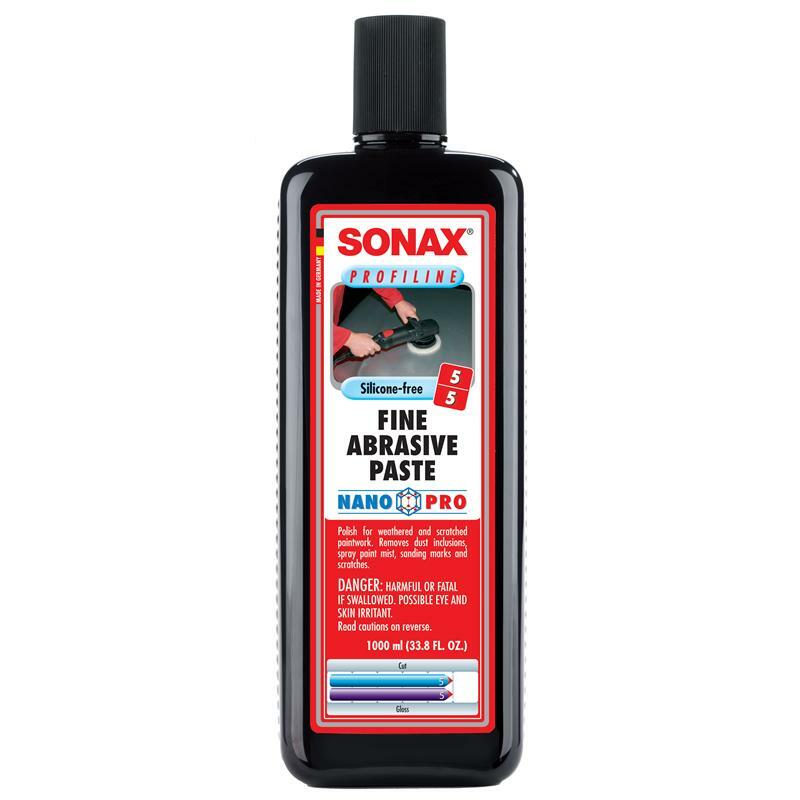 Ideal for restoring weathered and scratched paintwork. High abrasive effect (cut), with simultaneous moderate shine effect. Without silicone.